Mixed media textiles, drawing and painting. 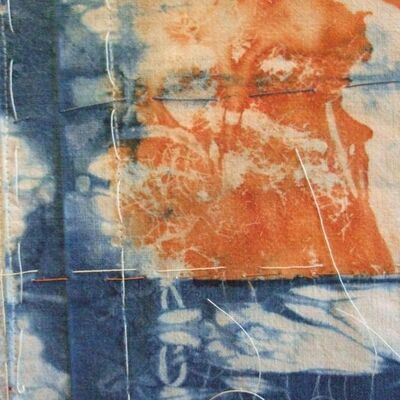 Digital prints on fabric, layered and juxtaposed with dyed and found fabrics, using hand and machine stitch. Landscape. figurative and cultural references. Textile artist Diana Parsons was born and educated on the Isle of Wight where she currently works from her garden studio in Cowes. 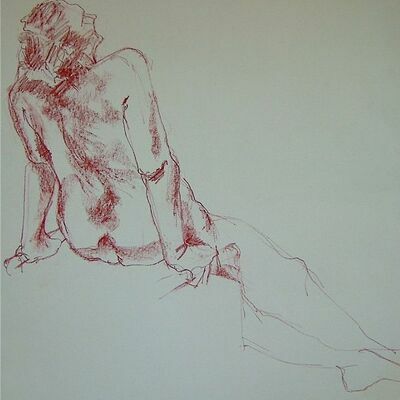 She studied Fine Art (Painting) at Portsmouth College of Art followed by Art Teacher Training at Birmingham School of Art Education. Her interest in textiles developed during her teaching career and she began working as a full time practising artist in 2002. 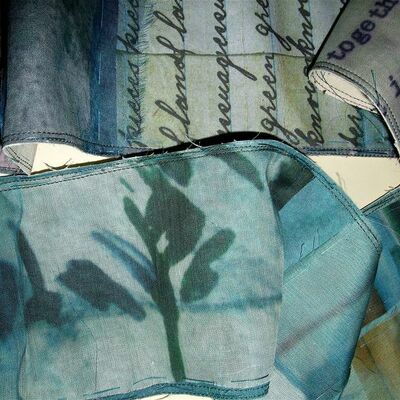 Diana graduated from Winchester School of Art with an MA in Textile & Fibre Art in 2008. Since then she has gained recognition for public and private commissions, publications and the work she exhibits, locally and nationally. She also gives talks and runs workshops. 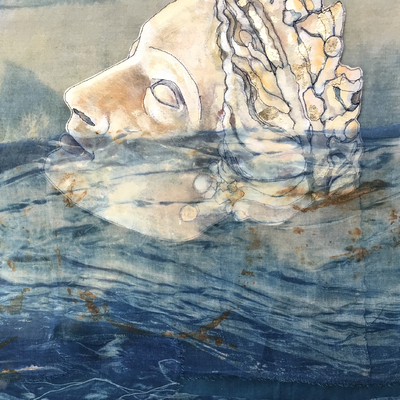 Diana’s training as a painter allows her to navigate the boundaries between art and craft, integrating photographs, drawings and paintings, digitally printed on cloth, into her textile practice. Her wall pieces, and suspended panels express the relationship between time and place, using family archive material, cultural references, landscape and the figure. ‘Lifeline’ her solo exhibition at The Ropestore Nov 2011 – Jan 2012 gave Diana an opportunity to create a body of work in the context of family, landscape and location. Other recent projects include her contribution to QuayCrafts exhibitions at Osborne House, Dimbola and currently at Carisbrooke Castle.